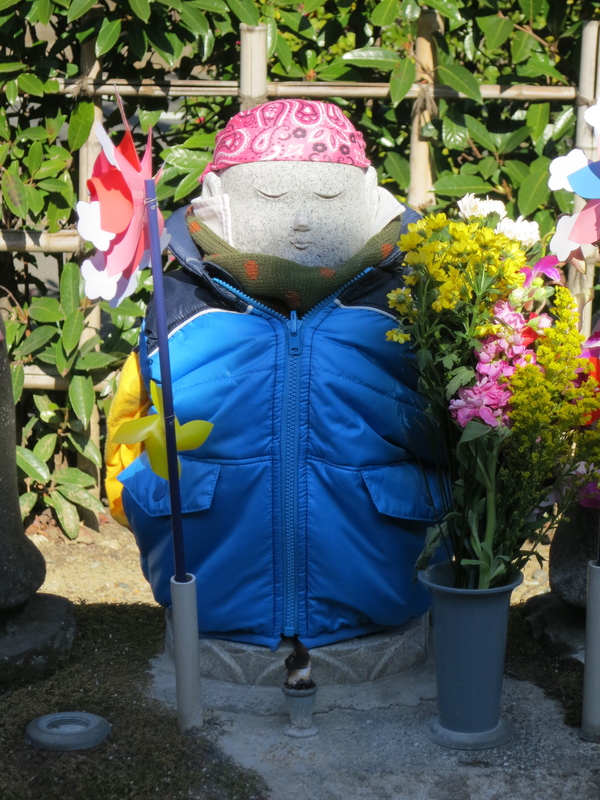 As I walked through the grounds of Zōjōji Temple after watching some obligatory bean-throwing at Setsubun, I couldn’t help but notice that several of the figures of o-Jizo-sama had been gifted with quite the fashionable winter outfits! 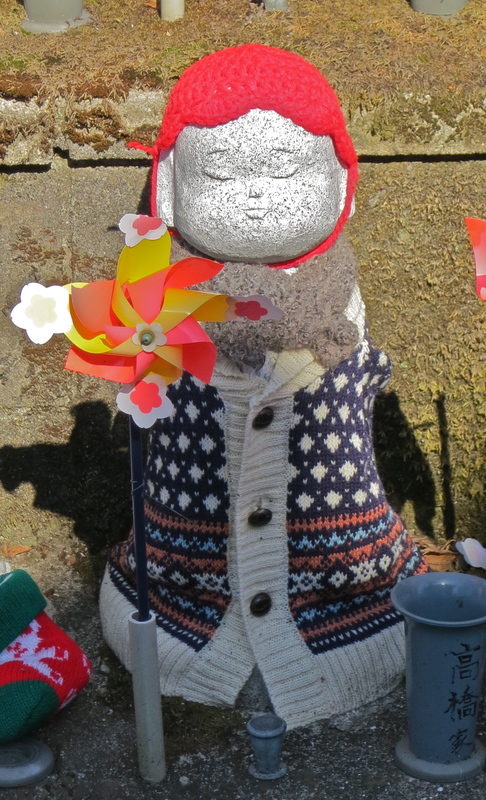 But while these displays of Jizo fashion creativity made me smile, they made me kind of sad too. The clothing offerings are given by family members to the spirit of a lost child, so it won’t be cold in the wintertime. Water is left so the child’s spirit won’t be thirsty, often in pink or blue children’s cups. Sometimes stuffed animals are left, for the child’s spirit to play with. 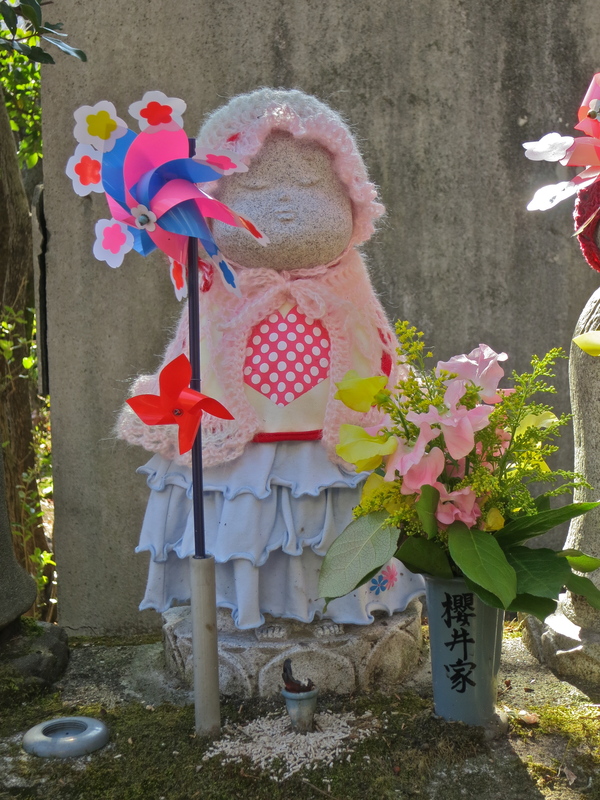 Gifts as elaborate as the ones on these Jizo figures make me think that these children are missed very much indeed. 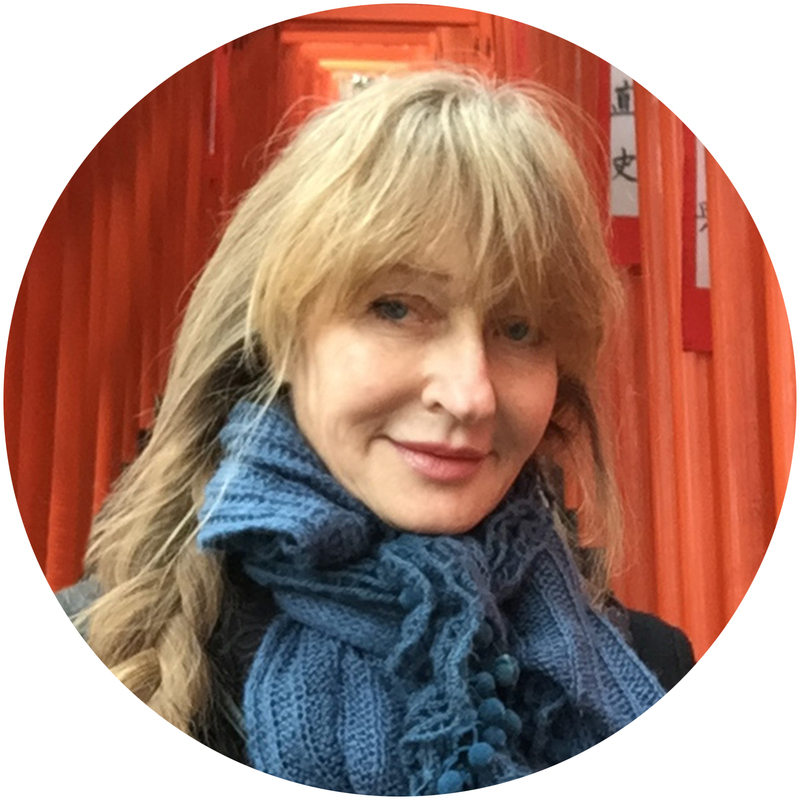 If you’d like to visit Zojo-ji Temple the next time you’re in Tokyo, a map is on my website, The Tokyo Guide I Wish I’d Had. Pingback: Zojoji | Let's Go To Tokyo!